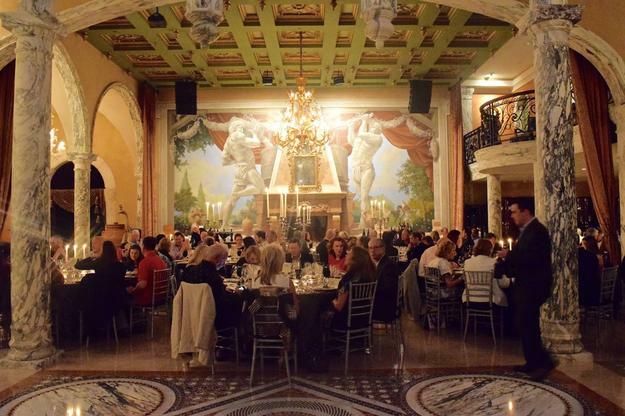 On a recent California weekend, I escaped to a Venetian-estate setting in the heart of Napa Valley for a 2012 Pinot Noir release dinner. 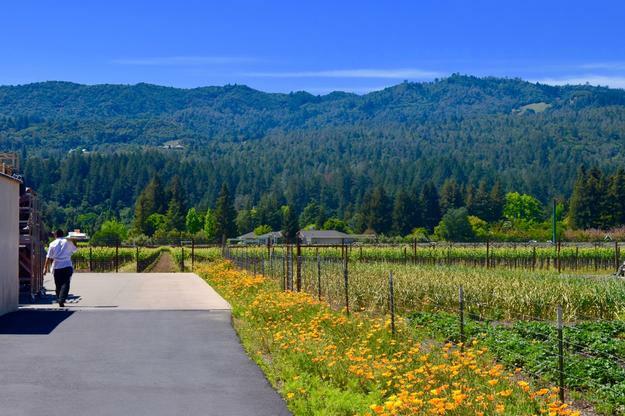 St. Helena’s Del Dotto Vineyards is a close-knit, family-owned winery which has been making estate grown, cave-aged, premium Napa Valley and Sonoma Coast wine for 20 years. 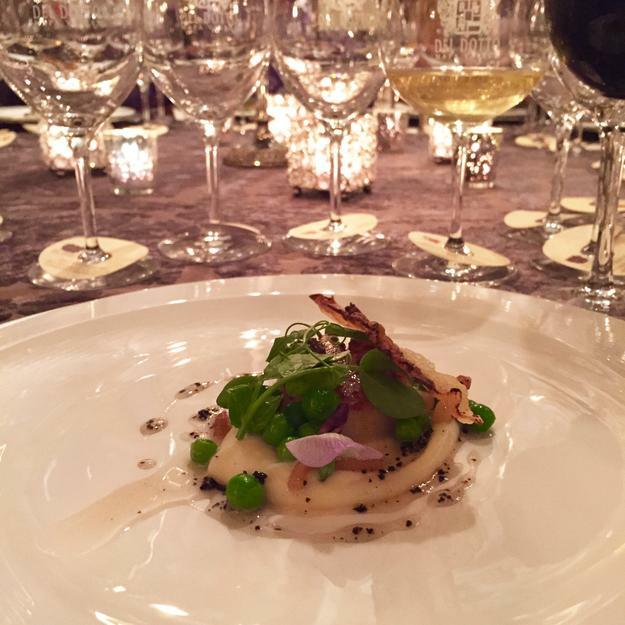 And while most wineries can only boast about their wine, here at Del Dotto, it is paralleled by an impressive culinary program headed by executive chef Joshua Schwartz. His talents are a synergistic match with the award-winning wines creating an incredible food and wine pairing program which he has developed through a great deal of time spent tasting and conferring with the winemakers all year long. 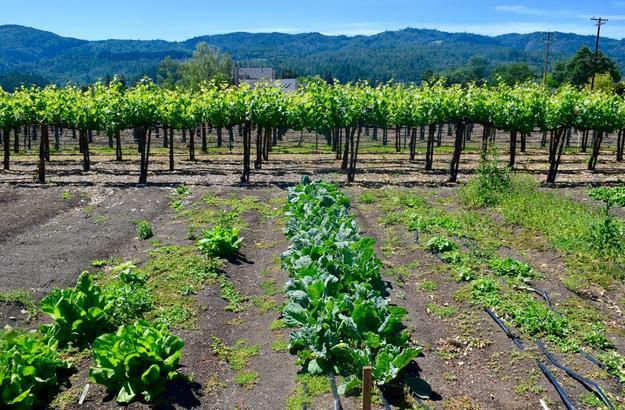 Chef Schwartz finds inspiration through the property’s 5-acre culinary garden and he is a true artist of pairings. His food is elevated – and more representative of fine dining with a cooking background of 12 years at Chef Thomas Keller’s The French Laundry and Per Se. 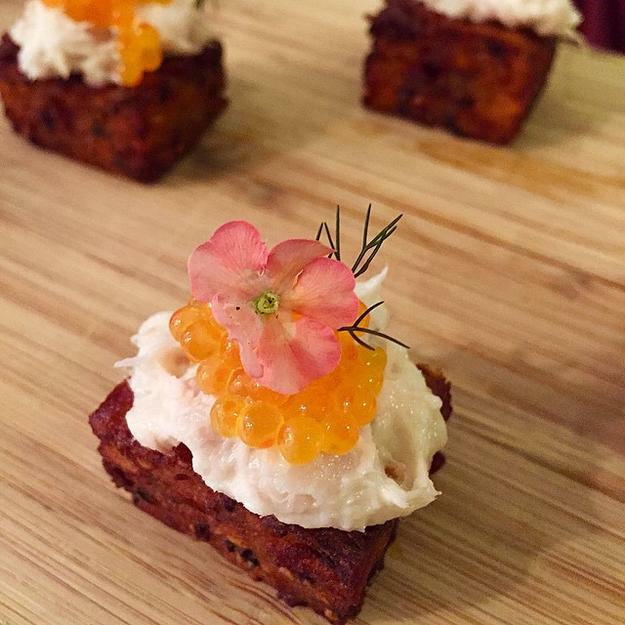 Smoked Whitefish on Everything Bagel Potato Cake w Trout Roe, Bronze Fennel & Verbena – inspired by Chef Schwartz’ childhood food memories. 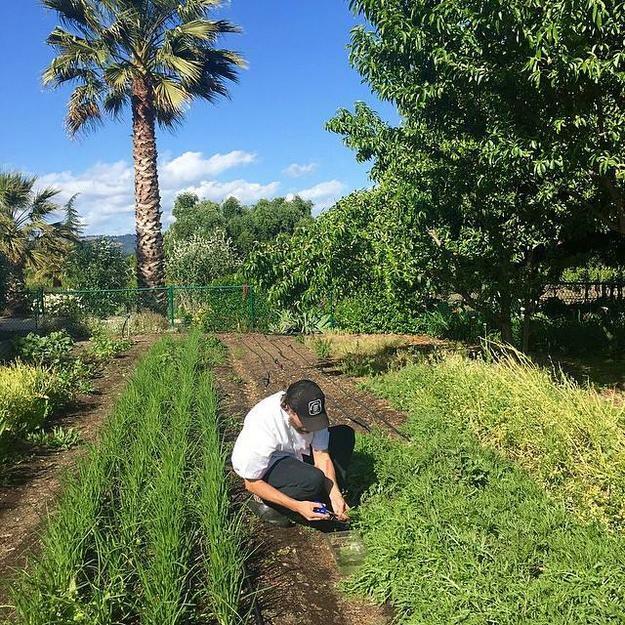 Del Dotto’s Pete Kirkpatrick picking fresh herbs in the garden for the evening’s winery dinner. 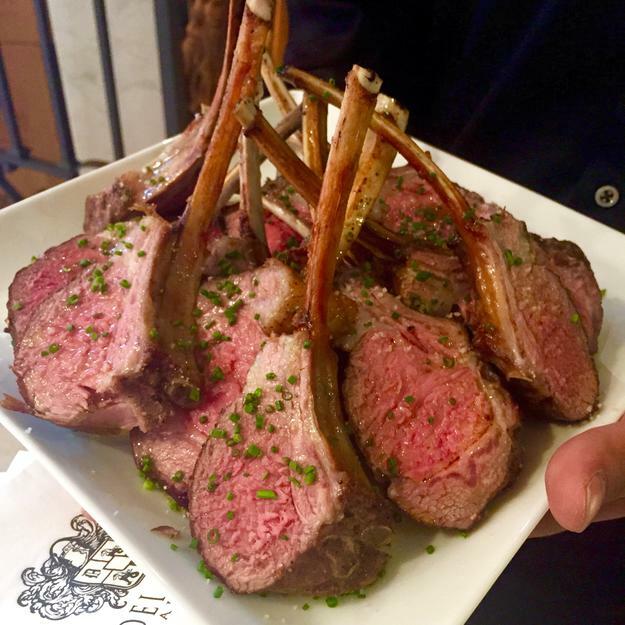 California Lamb Chops with Garden Chives, Fleur de Sel and Olive Oil were so tender and flavorful I couldn’t help but enjoy at least four or more of them. 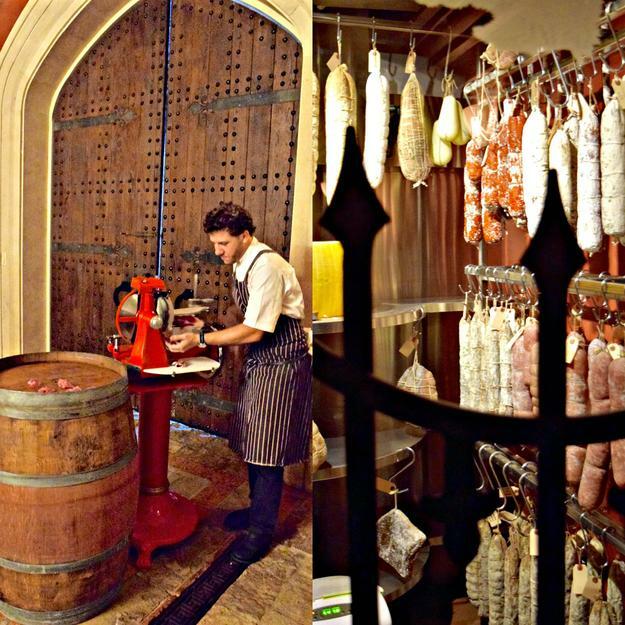 Del Dotto Salumist Tony Incontro heads the artisanal salumi program which includes an impressive aging room with a signature boars head at the entrance. Adjoining the tasting room is the estates’ wine barrel cave, with 300 year old terracotta tile ceilings, and 130 year old cut Varreggio marble walls, and a collection of imported Venetian Murano glass chandeliers which were hand assembled on site. 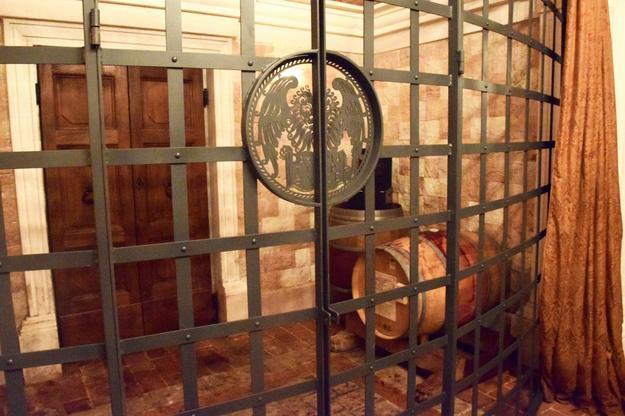 They call the wine in the cage The Beast – a Cabernet Sauvignon created from a blend of all of Del Dotto’s top vineyard holdings. It was rated 100 pts by Wine Advocate. The Beast has abundant richness, incredible density and generous notes of blackberries, black currant liqueur, graphite, licorice, truffles and incense. 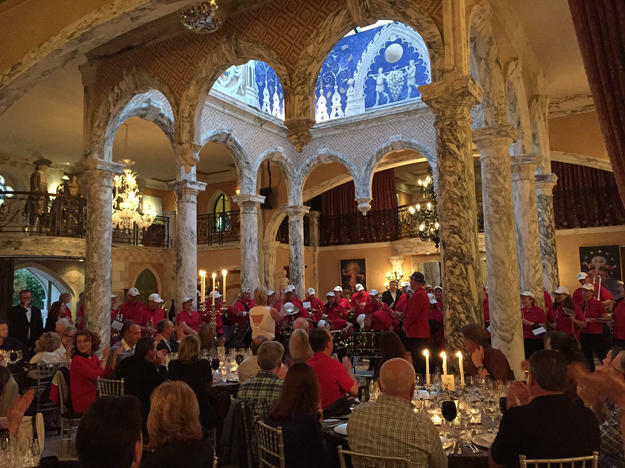 Following passed hors d’oeuvres and the private cave tour, everyone took their seats for dinner which began with thunderous music and jovial entertainment from a band, and not just any band, but a 50-plus piece marching band. I learned very quickly right then, that when the Del Dotto family throws a party, it’s a full-on celebration. The band definitely got the party started! Hudson Valley Foie Gras n’ duck breast w white asparagus, wild rice pancake, acacia honey gastrique and fresh arugula just picked from the garden. Paired with a 2013 Estate Pinot. 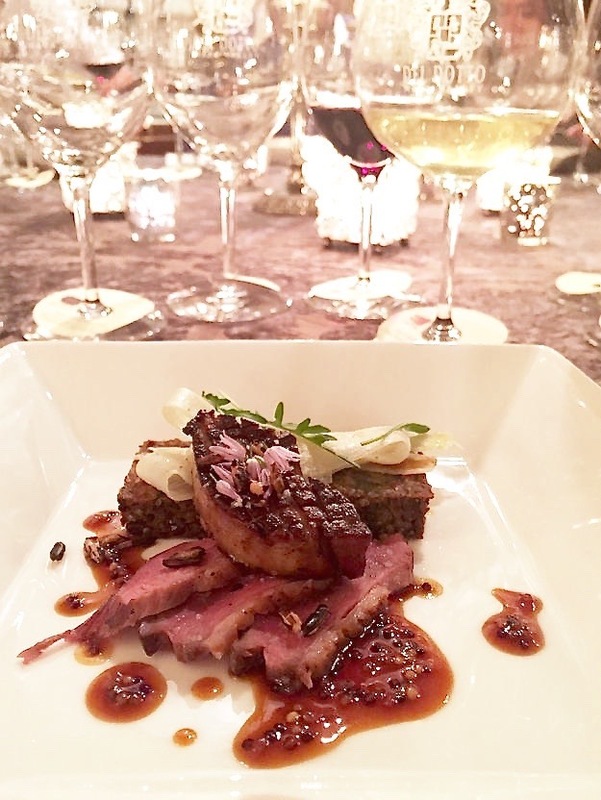 There are a number of wineries in Napa Valley, but if you find yourself in the St. Helena area and looking for a winery that offers exceptional food along with its wine, you can’t go wrong at Del Dotto Vineyards. Their food and wine options are a satisfying choice for discriminating and varying food and wine palates. 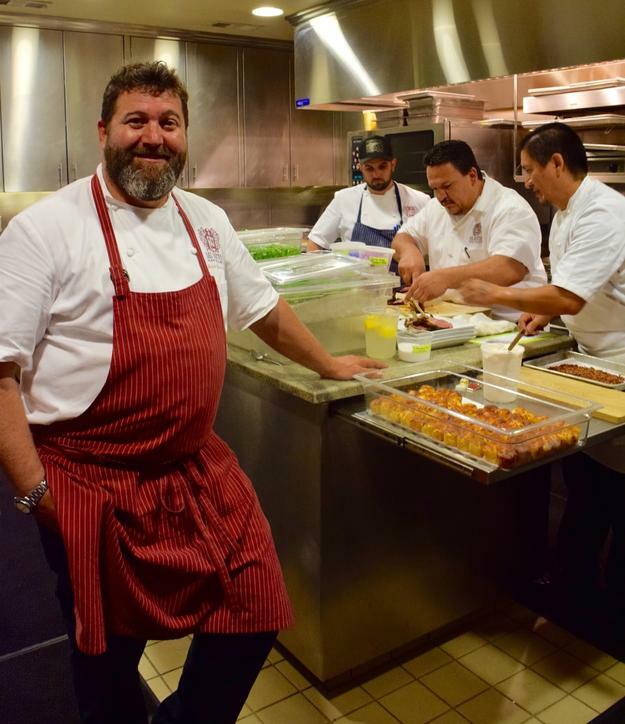 Another fact I’ve noticed about the Del Dotto culinary team, is that whether it’s an on site, special collector’s dinner or a local food festival like Heritage Fire or Eat Drink SF, Chef Joshua Schwartz and his team always deliver a high quality product and impeccable service. In fact, the first time I was even introduced to the Del Dotto brand, was at a local Wine Country event where they were serving their signature cured meats and intricate bites to the throngs of guests. I was impressed by both the high standard of cuisine served at a festival, where most restaurants lack and the fact that they never ran out of it. It was to my surprise, that it was not a restaurant, but a winery that was offering these distinctively satisfying bites. That is when I knew I had to make a personal visit to Del Dotto Vineyards and I’m sure glad I did. Available from Thursday through Saturday at the Venetian Estate and Caves. The opulent five-course tasting menu indulges in premium ingredients such as caviar, truffles, lobster, Mangalitsa pork, Wagyu beef, and Michelle Cuizel chocolate. 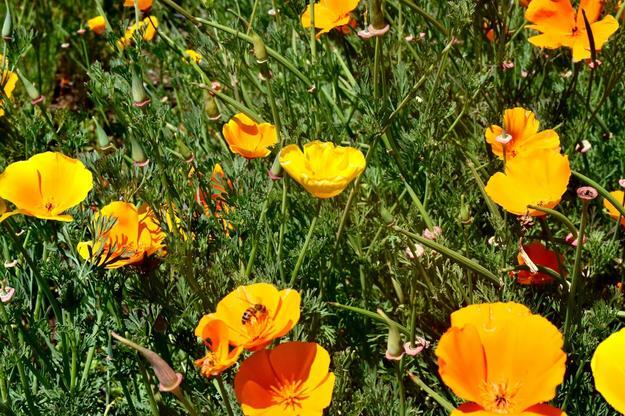 The tasting menu is paired alongside five of Del Dotto Napa Valley and Sonoma Coast Del Dotto branded wines, such as the 2010 Brut Sparkling Wine, 2012 Chardonnay, Sonoma Coast, 2012 Pinot Noir, Sonoma Coast, and 2012 Cabernet Sauvignon. 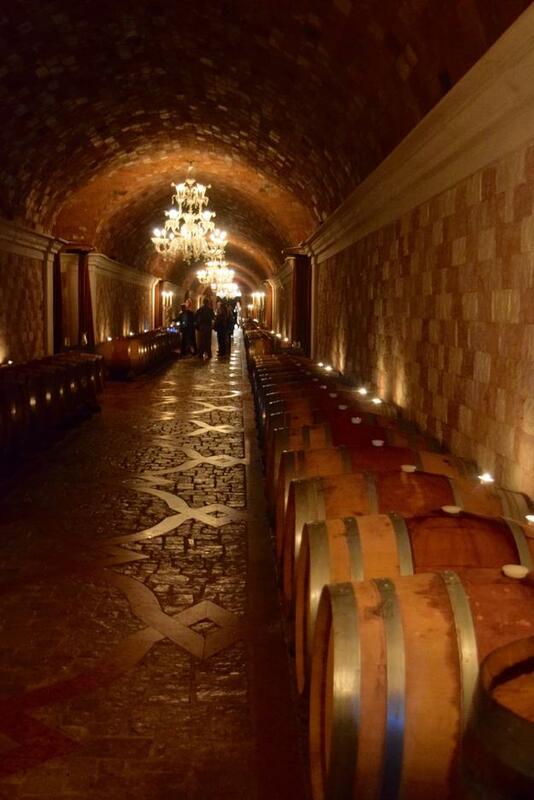 Before the pairing, guests are guided on a barrel tasting of four wines in the Venetian Cave. 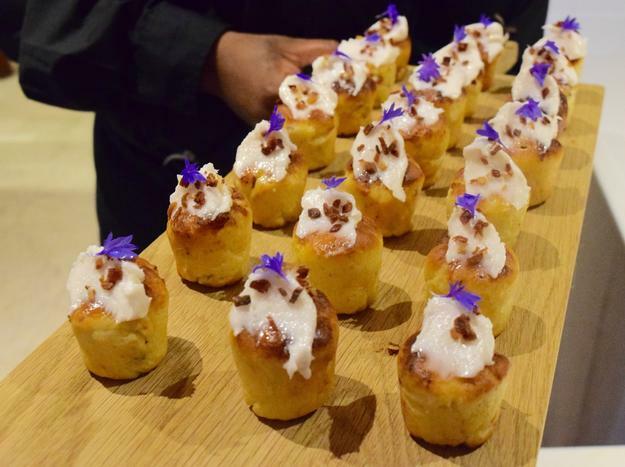 The Delicacies Tasting is $75 per guest, and is available at 10 am or 1:00pm, Thursday to Saturday. Please note their menu is subject to change. Napa Historic Winery & Cave, 1055 Atlas Peak Rd., Napa, CA, 94558. Winery appointments can be made online (DelDottoVineyards.com) or by calling (707) 963-2134. The winery is open daily from 11am to 5pm, every day of the year. Great article! I’m planning a trip to Napa Valley this fall for some wine tasting and restaurant visits and this will now be on the itinerary. Beautiful photos and great writing! 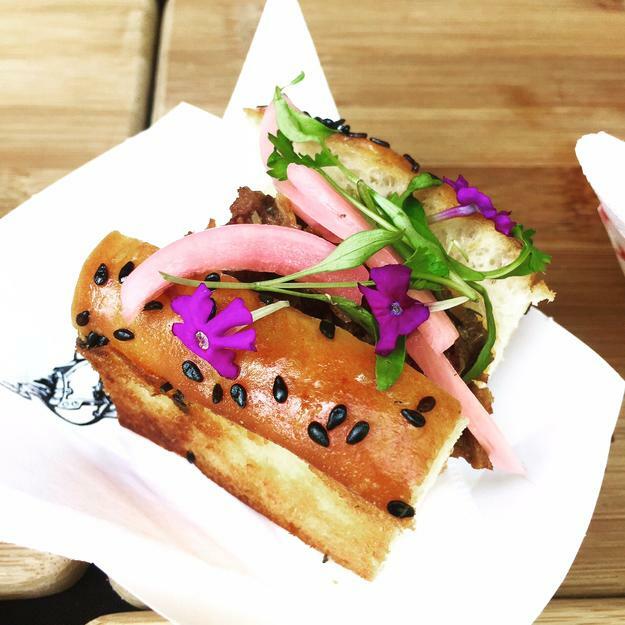 That brioche sandwich is stunning. Very nice write-up and photographic journey. However, the shining star of this winery is the WINEMAKER. You would be remiss in researching this winery without understanding the true genius behind the amazing wine portfolio…..Gerard Zanzonico. Please, next article, give huge shoutout and recognition to Gerard. Hi Jay, Thanks for your comment. 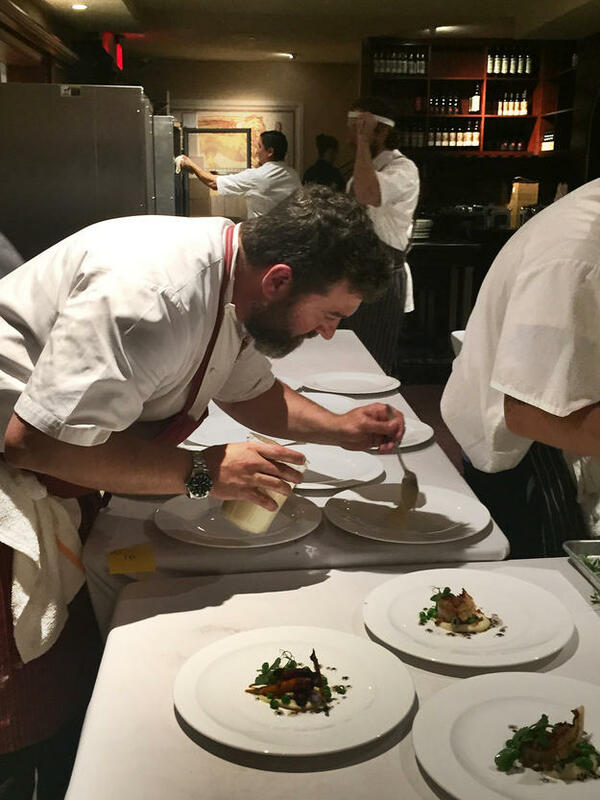 Since I focus on the culinary aspect on this site, I wanted to feature and highlight Chef Joshua Schwartz since winery chefs are very overlooked and unrecognized in the industry. But yes, I agree a winery couldn’t shine or exist without the winemaker and of course Gerard Zanzonico is star.